Router articles: What is the Difference Between Router, Hub and Switch? You call home a technician for a technical issue. He explains the problems and uses the three terms router, hub and switch interchangeably. The catch? All through the conversation, he keeps pointing at just one device and talks about three! Don’t you feel confused and want to know more about what is the difference between router, hub and switch? Read on and find out more about router, hub and switch. What are Routers, Hubs and Switches? 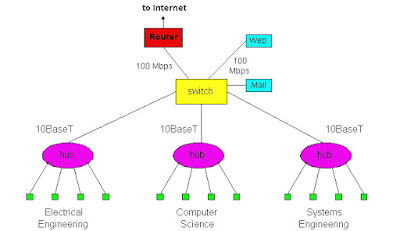 Routers, hubs and switches are all computer-networking devices. They allow one or more devices to be connected to each other such as computers, networked devices, or any Internet-enabled devices, etc. The difference lies in their functions. Even they are all integrated into a single device, the functions of router, hubs and switches remains different. Let us see what each device is used for and learn the difference between router, hub and switch. A router is used for connection two or more networks. It operates at Layer 3 (the network layer) in the OSI model. It helps maintain the tables that map the IP addresses to an outgoing interface. An Interface may consists of one or more ports. A switch operates at the Layer 2 (the data link layer) of the OSI model. It helps maintain the forwarding tables that map the MAC addresses to physical ports. It is not necessary that the mapping is carried out on a one-to-one basis. Many MAC addresses can be assigned to the same physical port at a time. 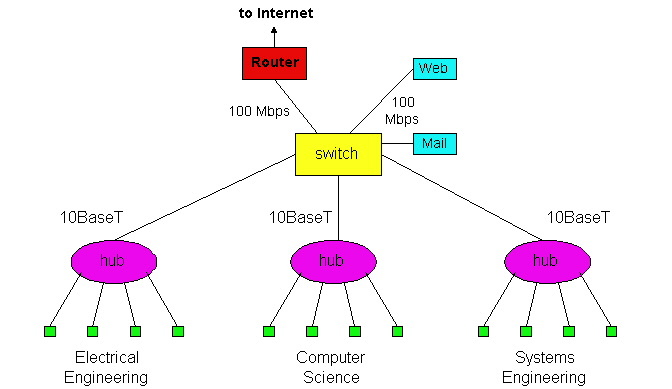 This scenario is possible when one has a multi-layer switched network or a hub that is connected to a switch. A hub operates that the Layer 3 (the physical layer) of the OSI model. The hub can be unpowered, that is, provide just a simple physical connection to the existing signals. It can also be powered where it can regenerate and/or amplify the signal they receive. Hubs are not used much today due to its many drawbacks. It tends to give a poor performance by allowing only one user to transmit at a time as well as provides poor security features as anyone connected on the same hub can eavesdrop on what the other users are transmitting and receiving. This was the simplest way to explain what is difference between routers, hubs and switches is. A switch helps provide additional ports to the router, thereby increasing its capability. A router takes the information from the modem or ONT and transmits it to the devices connected. And a hub transmits or broadcasts a frame (type of data) to every port connected to it. Hope now you can understand where the problem lies in case you need technical help for your Internet or Wi-Fi woes.